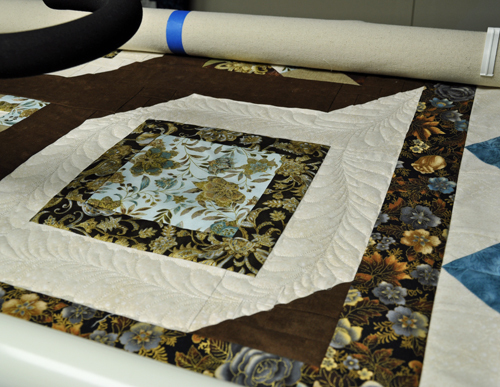 I am finally getting around to quilting one of my two block of the month quilts from 2012. This one is called “Opera”. I am using feathers in the cream sashing and pebbles with swirls in the brown. I am spontaneously quilting each of the 12 BOM with whatever inspires me as I get to each block. 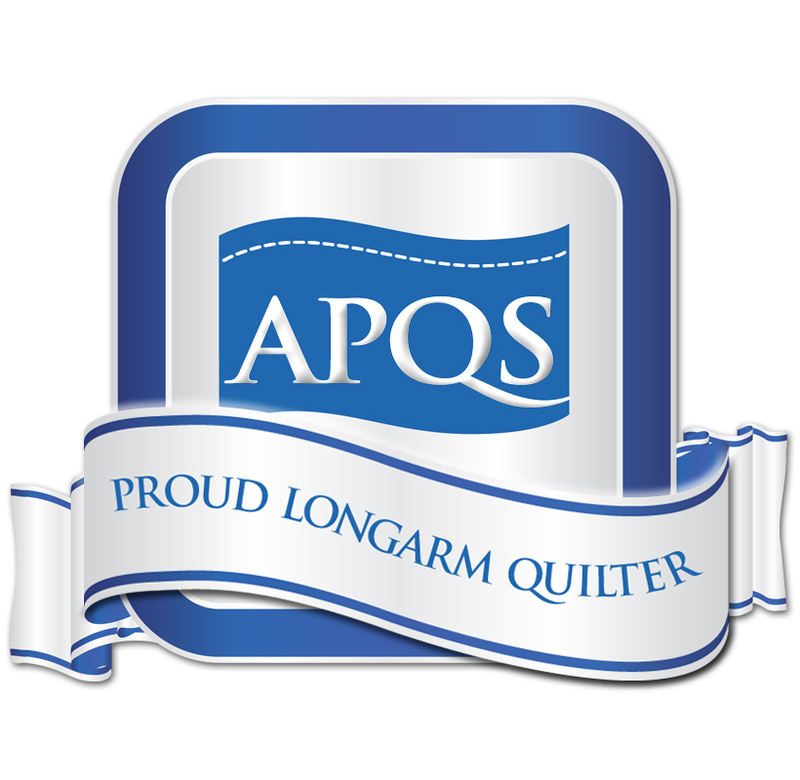 This entry was posted in Custom quilting, feathers and tagged custom quilting, longarm quilting. Bookmark the permalink.